HOUSTON (CN) – Uncle Sam must cover some of Exxon Mobil’s cleanup costs for jet fuel and gasoline produced for World War II and the Korean War, a federal judge ruled, rejecting the government’s contention that the oil giant’s claims are time-barred. “The Second World War and the Korean Conflict ended over 65 years ago and took place thousands of miles away, but some effects of those wars are present and nearby,” U.S. District Judge Lee Rosenthal wrote Friday in two identical 103-page rulings. The litigation centers on two refineries—one in Baton Rouge, Louisiana, and another in Baytown, Texas—which the government contracted with in the early 1940s to produce jet fuel and other petroleum products. The government also bought land next to the refineries and leased land within the refineries to build chemical plants to make synthetic rubber and jet fuel ingredients for the wars. Exxon now owns the refineries and chemical plants at both sites, which have been designated by the federal government as a single Superfund site under the Comprehensive Environmental Response, Compensation, and Liability Act of 1980. Environmental stewardship clearly was not a priority for the United States in the 1940s as it entered World War II to help its Western European allies fight off Adolf Hitler’s Nazi troops, who had swept through France and unleashed a brutal bombing campaign over Great Britain. U.S. waterways suffered collateral damage. Some of the hazardous waste from the Louisiana and Texas refineries and chemical plants was diverted into the Houston Ship Channel and Mississippi River, which both empty into the Gulf of Mexico. Exxon says that as of December 2014, it has spent $77 million cleaning up wartime-pollution at the properties. It sued the federal government in 2010 and 2011, seeking to hold it liable for some of those costs. Judge Rosenthal let the government off the hook for pollution from the refineries, but because it admitted ownership of the chemical plants, she ruled in June 2015 it is liable for a share of the plant cleanup costs. 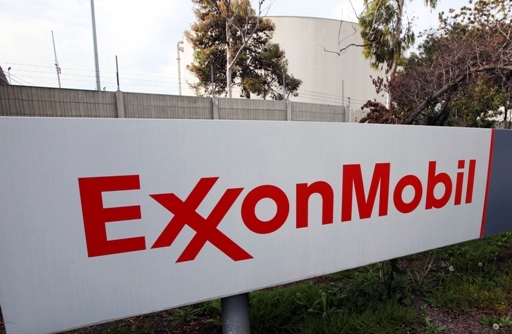 In an attempt to further reduce its liability, the federal government claimed in a summary judgment motion that Exxon’s claims are barred by the statute of limitations. Working with Texas and Louisiana state agencies, Exxon has been monitoring groundwater contamination at the properties since the 1980s. In 1987, it installed groundwater recovery wells along the Mississippi River to collect liquid hydrocarbons before they leached from the Baton Rouge complex into the river. In the early 1990s, Exxon removed more than 40,000 tons of contaminated sludge from the Texas site. The government claimed that Exxon’s cleanup actions were multiple, remedial actions barred by the six-year statute of limitations for remediation at Superfund sites. But Rosenthal rejected that position Friday. She agreed with Exxon’s argument that the cleanup is one ongoing effort, so that statute of limitations has not yet started to run. “The court holds that the cleanup actions at the Baytown and Baton Rouge facilities are appropriately characterized as a series of removal activities that constitutes a single removal action at each facility. A removal action is not complete until ‘final monitoring or evaluation is done, a [record of decision] is issued, or some determination is reached that no further action is necessary,’” Rosenthal wrote in the 103-page order. The government also claimed that because Exxon has received an insurance settlement for some of the cleanup costs, its liability should be reduced by $8.65 million for the Baytown property and $11.24 million for the one in Baton Rouge. “Exxon’s calculations support much lower offset amounts, $2.9 million for Baytown and $3.3 million for Baton Rouge,” the ruling states. Rosenthal agreed with the feds that some offset is in order, but said how much will have to be decided at a bench trial set to start next February. The George H.W. Bush appointee also sided with Exxon over how to estimate the amount of pollution produced from wartime production at the sites. Exxon, the most valuable oil company in the world, asked Rosenthal to gauge pollution based on crude-oil production during the years the refineries and plants were under contract with the government. The government meanwhile lobbied for an approach Rosenthal found incorrectly assumes each facility produced the same amount of waste per year. “The court will apply a production-based model, using the crude-oil throughput capacity at each facility as a surrogate for the amount of hazardous waste generated each year,” wrote Rosenthal, chief judge of the Southern District of Texas. Rosenthal also rejected the government’s bid to restrict its liability to hazardous waste from jet fuel production, not the gasoline, residential fuel oil, kerosene, lube oils and asphalts the plants also churned out during the war years. Exxon said it is pleased with the ruling. But asked if it believes a settlement can be reached before the bench trial, it did not respond. “We believe the court’s ruling is fair and supports ExxonMobil’s claim that the government is liable for a proportionate share of the clean-up costs,” spokeswoman Suann Guthrie said in a statement. A Justice Department spokesman said it is reviewing the ruling, but declined further comment.